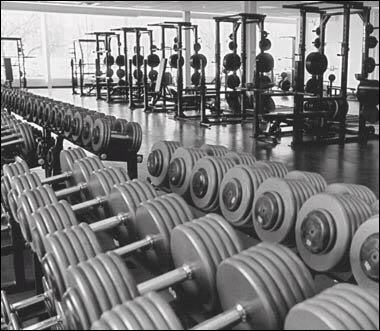 Is there such a thing as the perfect gym? No I don’t think it exists. Each gym has its pros and cons. Usually you like your gym or completely dread going. I don’t know anyone who loves their gym. They settle for it or stop going completely. So how do we create a better fit? That is the question posed by Leah Segedie of Mamavation. Read her post on the topic here: Creating a Better Fit Blogging Revolution. My personal experience with gyms began with high school where noone took working out serious. The guys benched pressed to show off for the girls, the skinny girls. In college, it was like a speed dating situation. Girls and guys both posturing to gain attention. When my husband and I first got married, our apartment had a tiny gym. We would go together, but I really didn’t enjoy working out with him. I love him dearly, but he is one of those people who can eat whatever he wants, barely workout, and never gains weight. *sigh* I started working out to a show on Fit Tv with my friend. Honestly, it was nice. The instructor was fun, her and I both were trying to lose weight, and best of all no one was judging us. We finally hit plateaus and started looking for a gym to join. Gym number one: full of muscle bound guys, treating us like “little women.” The staff wasn’t very helpful, ignoring me when I was standing at the desk to ask a question. But, if a tall, thin blonde walked up well she obviously needed immediate attention. Gym number two: a smaller, not as well known place. Staff was friendly, but the facility was pretty grungy and the instructors treated everyone the same in a bad way. They assumed you were a triathlon, Olympic athlete or something. All the while trying to push these delivered to your door meals. No thank you. Gym number three: a monster in terms of size and price. Sure they have everything you could think of but they were so expensive. I only went to that one once knowing we couldn’t afford it. They had several of every type of machine, which made me feel lost. I felt like a kid lost in a sea of equipment, Help! Gym number four: this is the one I signed up with. It’s moderate in size which is nice and bad. Sometimes I wish they had a slightly bigger weights floor or hey get rid of the machines no one ever uses! I don’t love my gym. The class instructors (minus one who I have no idea how he got certified), check in staff, and manager are great. My problem is this: the personal trainers are super inappropriate. One, the “star” trainer thinks he is God’s gift to women. Nope, not even close. He treats all the women in the gym like pieces of meat. He swaggered up to me once and said “hey girl, you should come see me, let me give you some one on one attention.” I looked at him and said “I know what I’m doing and you’re not my type. K? Thanks.” He just looks at me from a distance now when I walk in but he doesn’t dare say anything. Then another one was cussing while talking to a member. I’m not one to tell you how you can talk but that is totally unprofessional. My ideal gym: everybody is friendly, non judgmental, out to help you look and feel your best. No one is trying to put you down or make out with you (yuck!). Maybe one day we will encounter a gym-topia! Gym-Topia! What a great word! and I hate to say our gym has an inappropriate trainer, too. He drives me batsh*t. But for some reason his client list is a mile long. So I just bite my tongue and I never EVER direct a new member to him. Ever. Bleck.